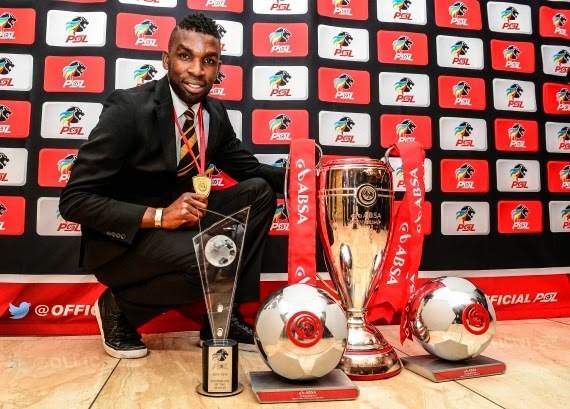 Kaizer Chiefs captain Tefu Mashamaite won the Absa Premiership Footballer of the Season, the players' player and best defender prizes at the PSL's annual awards ceremony in Sandton on Sunday. Mashamaite, who pocketed R450 000 in prize money, was recognised for his role in helping the Glamour Boys to a League and MTN8 double in record-breaking fashion in 2014/15. In the Footballer of the Season category he beat teammate Mulomowandau Mathoho and Pokokwane City midfielder Cole Alexander. For the Players' Player of the Season Mashamaite trumped Mathoho and Mamelodi Sundowns ace Teko Modise, while he denied Mathoho again and Bidvest Wits' Thulani Hlatshwayo for Defender of the Season honours. Absa Premiership Footballer of the Season (R250 000): Tefu Mashamaite. Absa Premiership Players' Player of the Season (R150 000): Tefu Mashamaite. Absa Premiership Midfielder of the Season (R50 000): Teko Modise. Absa Premiership Defender of the Season (R50 000): Tefu Mashamaite. Absa Premiership Young Player of the Season (R50 000): Phumlani Ntshangase. Absa Premiership Goalkeeper of the Season (R50 000): Moeneeb Josephs. 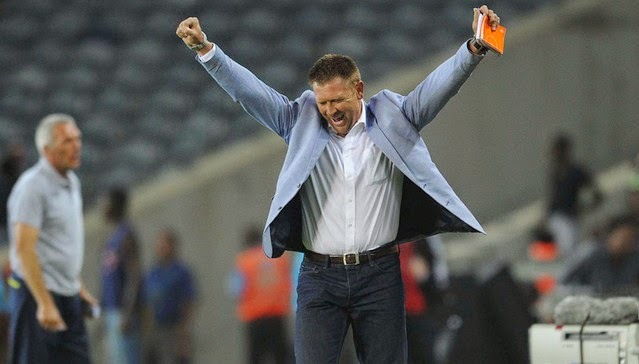 Absa Premiership Coach of the Season (R75 000): Stuart Baxter. Absa Premiership top scorer (R25 000): Moeketsi Sekola (14 goals). Telkom Knockout Player of the Tournament (R200 000): Dove Wome. MTN8 Last Man Standing (R80 000): George Maluleka. Nedbank Cup Young Player of the Tournament (R50 000): Tasreeq Morris. Nedbank Cup Player of the Tournament (R150 000): Teko Modise. NFD Top Scorer: Phumelele Bhengu (22 goals). MultiChoice Diski Challenge Player of the Tournament: Dikgang Ngcobo. Referee of the Season (R50 000): Phillip Tinyani. Assistant Referee of the Season (R40 000): Peter Chauke. The Chairman's Award: Botha Msila (Bloem Celtic supporter). Absa Premiership winners: Kaizer Chiefs. National First Division winners: Golden Arrows. Telkom Knockout winners: SuperSport United. Nedbank Cup winners: Mamelodi Sundowns. MultiChoice Diski Challenge winners: University of Pretoria. SuperSport United have turned down a hefty offer from Mamelodi Sundowns for the signature of New Zealand international, Jeremy Brockie. The 27-year-old Kiwi international has been somewhat of a revelation since making the move to SuperSport earlier this year, and has scored seven goals in just 13 Absa Premiership games. Now, following his impressive start to life in South Africa, word is that Sundowns had tried to tempt Matsatsantsa to sell him at the end of the season, offering big money to get him to move to Chloorkop. However, given Brockie’s start to life in Tshwane with SuperSport, the club opted to turn down the bid for their star striker as they want him to help them challenge for silverware in the 2015/16 campaign. It remains to be seen whether Sundowns will come back with an improved bid for the forward before the start of next season, though it seems that SuperSport are adamant to keep hold of him. 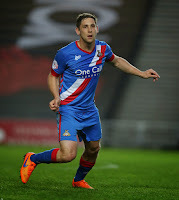 Dean Furman is on the lookout for a new club after being released by League One side Doncaster Rovers. The Bafana Bafana midfielder initially joined the club on loan in 2013 before making the move permanent that same year and helping them to promotion. Furman tweeted: “Thank you to everyone at @drfc_official including the manager & his staff, the great people working behind the scenes and the fans for all your support over the last 2 or so years. There's been some highs & lows with 1 high in particular which I will never forget! I would like to wish everyone involved at the club all the very best in the future.” Furman, who made 34 appearances for Rovers this season, will now start the search for a new club in a higher league and will be hoping his Bafana exploits in the past two years will have caught the eye. Ambitious First Division club Royal Eagles have extended the contract of top-scoring defender Walter Maponyane and agreed in principle with Mark Mayambela to keep him at the club. Despite being a central defender, the former Mamelodi Sundowns player finished the season on 11 goals and has now signed a two-year extension with an option of a further year. “We have signed and sealed a two-year extension with Walter because we are very happy with what he did for us as captain this past season scoring 11 goals as a central defender,” Richard Makhoba, the club GM, said. With regards to Mayambela, Makhoba says they are keen on retaining him. “We are happy with what we saw of him after working his way back from injury towards the end of the season. We have agreed in principle that he will stay at the club,” said Makhoba. Mayambela joined the club in February after his return from a brief stint in Sweden. Meanwhile, the club has also confirmed that Abram ‘Wire’ Nteo will be staying at the club as assistant to new head coach Vladislav Heric. Nteo previously worked with Heric at African Warriors. Midfield duo Cole Alexander and Athenkosi Dlala have both been withdrawn from Bafana Bafana’s Cosafa Cup squad through injury, while striker Puleng Tlolane is under close observation. Following their two clashes against Lesotho last week and a day off on Sunday, South Africa were back in training on Tuesday as they were put through their paces at the AW Muller Stadium at University of Johannesburg. Yet absent from the squad in training were Alexander and Dlala, who have been withdrawn from the team following respective injuries. Alexander was stretchered off in the goalless draw against Lesotho last Thursday after twisting his ankle and has failed to recover, while Dlala’s is suffering a recurrence of an old knock and will not be able to recover in time for the tournament. Meanwhile, Rise and Shine forward Tlolane had a collision with the Lesotho goalkeeper and will undergo a late fitness test to see if he can be ready for the tournament. Previously side-lined players Marc van Heerden and Gift Motupa were given a clean bill of health and trained with their teammates today. Jomo Cosmos boss Jomo Sono conceded that Black Leopards deserved the victory, but still counts on home advantage in his side's remaining play-off fixtures. Cosmos were defeated 2-0 away to Lidoda Duvha on Sunday afternoon, with Sono admitting that the home side made the most of their chances in front of goal. "I think they took their chances. However, the experienced coach held onto hope as his side still have three more fixtures to play, and took solace from the fact that two of those are home games. "But it's not over yet. It's still a long way to go. We have to make sure that they don't beat us at home. We have to give them the same medicine they gave us. And then, if we don't lose all our games at home then we're back in contention [for PSL promotion]," he added. Kaizer Chiefs midfielder Siyabonga Nkosi is excited for the annual Siyabonga Nkosi Youth Festival, taking place from June 6 to 17 in Johannesburg and KwaZulu-Natal. The National Lottery Distribution Trust Fund is the main funder of this year’s festival, which aims to provide opportunities for youth to showcase their talent. Coming from the rural community of Mndozo outside Newcastle, KwaZulu-Natal, Nkosi’s life story is a genuine example of combining vision with hard work and determination to achieve far-reaching dreams and yet still stay true to your passion, whilst seeking to develop and see other people reach their potential. “I feel very excited about the prospects of the festival this year,” said Nkosi. “Personally I look forward to the event. The buzz is palpable in Amajuba District Municipality. I am very passionate about community development. The event is growing every year. I am doing this from the bottom of my heart. I feel great and proud with my efforts to empower the community. I would like to thank everyone who has made a contribution - the National Lotteries Board, our main funder, Newcastle Municipality and the KZN Department of Sports. I just wish the people will turn out in numbers at the events,” concluded ‘Siya’. Goalkeeper of the Season Moeneeb Josephs has attributed his success to Bidvest Wits keeper coach Andre Arendse. 'Slimkat' won his individual prize at the PSL's annual awards ceremony held at the Sandton Convention Centre on Sunday night. Josephs beat off competition from Ajax Cape Town's Anssi Jaakkola and Patrick Tignyemb of Bloemfontein Celtic. "It's an unbelievable feeling," Josephs tells KickOff.com. "But credit should also go to Andre Arendse. He was the one that was pushing me the whole season. I came back from injury but he pushed me to the last day and the credit should go to him as well." The former Orlando Pirates man preferred not to comment when asked about his ambition to don the Bafana Bafana jersey again. "No. This is the question I am not interested in," he says. Bafana Bafana continued their preparations for this year’s Cosafa Cup with a 1-1 draw in their practice match against Lesotho at Setsoto Stadium in Maseru on Saturday afternoon. The two sides drew 0-0 in Thursday’s international friendly, with Safa announcing that the second encounter will be regarded as a practice match. After going behind early in the second half, Clayton Daniels equalised via the penalty spot to secure a draw against our neighbours, with the side expected back in the country on Monday to continue their Cosafa Cup preparations ahead of their opener against Botswana next Sunday. 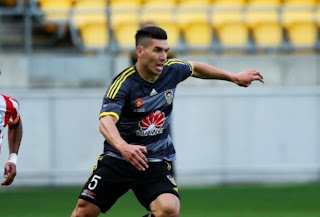 SuperSport United have announced the signing of New Zealand international defender Michael Boxall from Wellington Phoenix. Boxall previously played in the MLS in the United States and has represented his country at all junior levels, with 12 senior caps under his belt. The 26-year-old joins SuperSport on a three-year deal and will join New Zealand international teammate Jeremy Brockie. SuperSport coach Gordon Igesund has promised to bring in new signings as the club steps up its mission to challenge for the Absa Premiership title next season. The club has also confirmed that Thabo September has signed a one-year extension to his contract, which will extend his run at the club to 10 years. 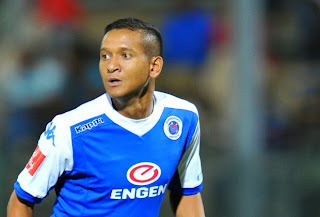 Meanwehile, negotiations for a long-term deal with experienced midfielder Daine Klate have fallen through as the club was unable to agree new terms with the player. The man originally accused of being involved in the murder of former Bafana Bafana captain Senzo Meyiwa is suing police minister Nathi Nhleko and the NPA for R10-million. Zamokuhle Mbatha spent almost two weeks behind bars after being ‘identified’ as one of the men involved in the incident in Vosloorus that saw the Orlando Pirates goalkeeper gunned down. The Star reports that Mbatha is suing Nhleko for R7.5-million for defamation and the NPA for R2.5-million for wrongful arrest. Head of detectives Lieutenant Vinesh Monoo claimed on November 3 that “We are sure that the person we have charged is one of the suspects involved in the incident”. It is this statement that has Mbatha suing. “The statement was understood by members of the public, especially soccer fans, both nationally and abroad, and was intended by Moonoo to mean that I was a criminal who had murdered Senzo Meyiwa,” Mbatha said. As it stands, the police have still not found Meyiwa’s killers. New Mpumalanga Black Aces coach Muhsin Ertugral has given a clue as to the identity of his assistant for next season, saying he "knows him very well". Ertugral has worked extensively in the PSL, having held the reins at Kaizer Chiefs, Ajax Cape Town, Santos and Golden Arrows. Speculative reports have suggested AmaZayoni are lining up Shaun Bartlett to help Ertugral, with the former's future uncertain despite leading Arrows to NFD honours this season. The pair collaborated at Abafana Bes'thende in the 2011/12 campaign, while Bartlett played under Ertugral at Chiefs in 2007/08. "My assistant coach role is crucial and all I can say at this point of time is that I know him very well but we will announce this later," Ertugral told Aces' official website. The Turk added veteran goalkeeper Calvin Marlin will still have a role to play at the club, as does fitness trainer Elsa Storm. Orlando Pirates midfielder Daine Klate has signed a two-year deal with Bidvest Wits. Klate ended off his 2014/15 PSL season at SuperSport United, on a six-month loan deal, while also in the last six months of his Pirates contract. The 30-year-old has been locked in negotiations for a permanent deal with both United and Wits, pending the expiry of his contract at the Buccaneers, with whom he spent four-and-a-half years. The five-time Absa Premiership winner has put pen to paper with The Clever Boys, after the Milpark-based outfit offered “a better deal” to the one Matsatsantsa originally tabled. The Tshwane-side was unable to match or better the two-year-deal that Klate has been offered by Wits, and the previously successful combination between Gavin Hunt and the left-winger looks set to continue in the 2015/16 season. Mamelodi Sundowns striker Nyasha Mushekwi – currently on loan at Djurgadens IF – has sent reminders about his talent by racing to the top of the goalscoring charts in Sweden, just six weeks after officially joining. The Zimbabwean has scored seven goals in the opening eight League games, which have helped propel Djurgadens to fourth place and pushed him to the top of the scorers list. The goals will enhance his chances of winning a long-term contract with Djurgardens, with his current Sundowns contract expiring next month. Mushekwi spent five weeks on trial before signing at the end of March as the club needed a back-up striker following injuries to their frontline, but the Zimbabwean has instead thrust himself into first choice forward. The 27-year-old spent most of last year battling with a knee injury which forced him to cut short his loan spell at Belgian club KV Oostende, where he was meant to spend all of last season. Due to the biting of their winter in Sweden their football season starts at the beginning of April and runs up to the end of October instead of August to May like in most European countries. Mushekwi scored 40 goals in 53 starts during his three years playing for Sundowns. Bafana Bafana defender Kwanda Mngonyama was the big winner at Maritzburg United's annual awards ceremony in Pietermaritzburg's City Hall last week. Mngonyama scooped the player of the season and players' player accolades for the Team of Choice. The 21-year-old is on loan at United from Mamelodi Sundowns, and will push for first team action when he returns to Chloorkop in the off-season, especially with Downs bidding farewell to Dutch captain Alje Schut. Mngonyama, who is currently preparing with Bafana for the Cosafa Cup, grew in stature when he teamed up with John Pantsil at the back following Mohammed Awal's sale to Saudia side Al-Shabab FC in January. Ghanaian striker Mohammed Anas won the Golden Boot with seven goals in all competitions, while Deolin Mekoa claimed the top rookie prize. Long-serving goalkeeper Shu-Aib Walters picked up the Chairman's Award, as did Zola Luthuli. Mpumalanga Black Aces have confirmed that Jacob Sakala will be reverting to his old job as technical advisor/scout following the appointment of Muhsin Ertugral as the new head coach. Sakala was brought in as caretaker coach in mid-March to replace Clive Barker following a slump in form by the club and took charge of 10 games with three wins, five draws and two defeats. Mario Morfou, the Aces chairman, confirms that the 60-year-old will move back to the comforts of his old job. “Sakala was brought in to me when he was still in the Vodacom [ABC Motsepe League] three years ago and did very well for us by winning promotion [to the PSL],” says Morfou. “We then unfortunately hit a bad patch of form this past season and he actually came forward and said I am prepared to take the club out of the relegation zone. He told us ‘don’t look for anybody else because I will do it’. So we said no problem and he was prepared to take the team for the next eight [League] games. Sakala is now happy to go back to his old position, which is going out and finding African players. If you have seen the players that he has brought us, he has brought us Tendai Ndoro, he has brought us [Kwabena] Adusei and he even found [Thabo] Qalinge for us. So he will go back to the role where he is comfortable and where he wants to be in,” said Morfou. Bloemfontein Celtic have confirmed the signing of Ugandan international Geofrey Massa on a three-year contract. Massa, who scored eight goals this season for University of Pretoria, will be introduced to the Siwelele fans before the start of the 2015/16 season. Celtic boss Max Tshabalala tells the club’s website that Massa is a great addition to the squad. “We are happy that we managed to sign a top player like Massa. This goes to show that we are serious about our mission to reinforce the squad and challenge for a respectable position on the log. His experience and prowess will assist us in achieving our goal,” he said. Ajax Cape Town midfielder Granwald Scott has been rewarded by the club for his impressive performances during the 2014/15 season. The 27-year-old was named the Urban Warriors’ Player of the Season as well as the Players’ Player of the Season accolade last Tuesday. The winners of the 2015 Cosafa Cup will walk away R500 000 richer, the organisers of the regional football tournament have revealed. Cosafa announced the prize-money on Tuesday, which will also see the runners-up claim R250 000, while R125 000 will go to the third placed team. “The other losing semifinalist will take home R100 000 while the winner of the Plate competition will receive R75 000,” Cosafa Secretary General Sue Destombes said. “Aside from the team prizes there are also three individual awards for outstanding players at the tournament,” she added. The Most Valuable Player, Golden Boot winner and Goalkeeper of the tournament will each receive R20 000. “It takes the total pot of prizes over the R1.1-million and that means there is plenty of incentive for teams and players alike,” Destombes said. Mpumalanga Black Aces boss Mario Morfou has officially confirmed the signing of defender Limbikani Mzava from Bloemfontein Celtic. Mzava – who made 18 appearances for Celtic this season – has signed a three-year contract with Aces and is set to start training with the club when they return for pre-season in June. Morfou also said that the club is yet to make a decision on veteran midfielder Tinashe Nengomashe. "Yes, he [Mzava] has signed a contract with us. We will announce the other new players and those leaving the club in due course." Meanwhile, new Aces coach Muhsin Ertugral told journalists during a pre-conference at Melrose Arch that he is looking forward to reinforcing both the defence and strike-force. SAFA president Danny Jordaan has been appointed as the new mayor for the Nelson Mandela Bay municipality. Port Elizabeth-born Jordaan, who recently received another doctorate in administration, replaces 83-year-old Benson Fihla. Businessman Bicks Ndoni has been appointed as his deputy. The reshuffle is believed to be a strategic move by the ANC, which is widely believed to be heading for an electoral defeat by the opposition DA in next year's local government elections. SA players abroad: Darren Keet still can't catch a game, Thulani Serero ended the season playing off the bench, while Ayanda Patosi was in Europa League qualifying action on the weekend. Keet was again on the bench for Kortrijk as they were hammered 5-2 by Charleroi. It is the third time in five matches his side have conceded four or more goals. Nkili scored for Orebro in their Swedish Cup game against Goteborg, but his side ended up losing 2-1. The former Bafana Bafana keft-back played for Polish side Pogoń Szczecin in their 2-0 championship playoff loss at Górnik Zabrze. Patosi played for Lokeren as they were held to a 2-2 draw in the first leg of their UEFA Europa League playoff tie. The second game is on Saturday. Phiri came off after 73 minutes of Sunday’s 2-0 away win over Silkeborg. Brondby remain third in the Danish league. Serero finished his league season in Holland coming off the bench on the hour-mark as Ajax Amsterdam lost 2-1 at already relegated Dordrecht. Ajax had already confirmed second place. Shipalane netted his second goal of the season in Carolina Railhawks’ disappointing 2-2 draw with New York Cosmos in the USA second-tier. Disappointing because they led 2-0 into the first minute of injury-time but conceded twice. Travis suffered the disappointment of missing out on promotion after Scottish League One Forfar Athletic’s 3-0 loss to 10-man Alloa Athletic from the Championship. Travis had scored in midweek as his side took a 3-1 lead into the second leg, but couldn’t hold on to their advantage.